Yesterday I showed you the photos of the amazing Kitchen in the Parade house built by EBuilders. Today we're continuing with this house showing the Laundry/ Craft Room, the desk in the Mud Room and the Half Bath in the Mud Room. 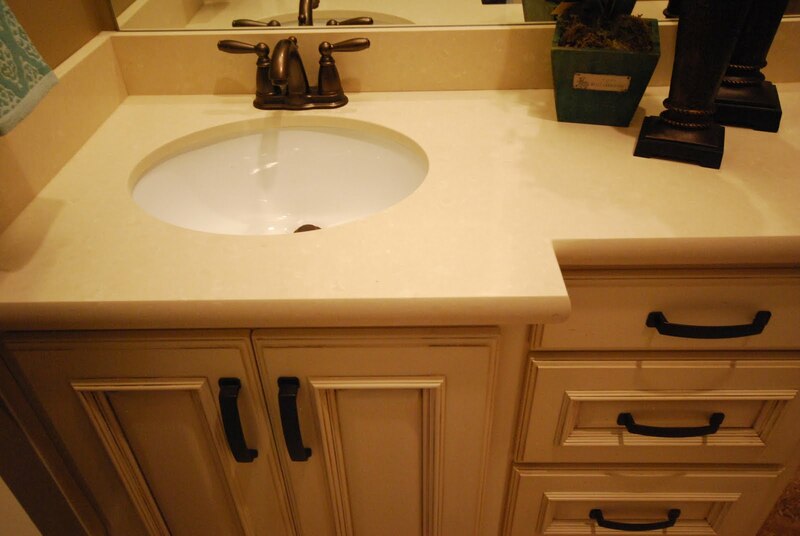 The material used in all of these areas was CaesarStone quartz. 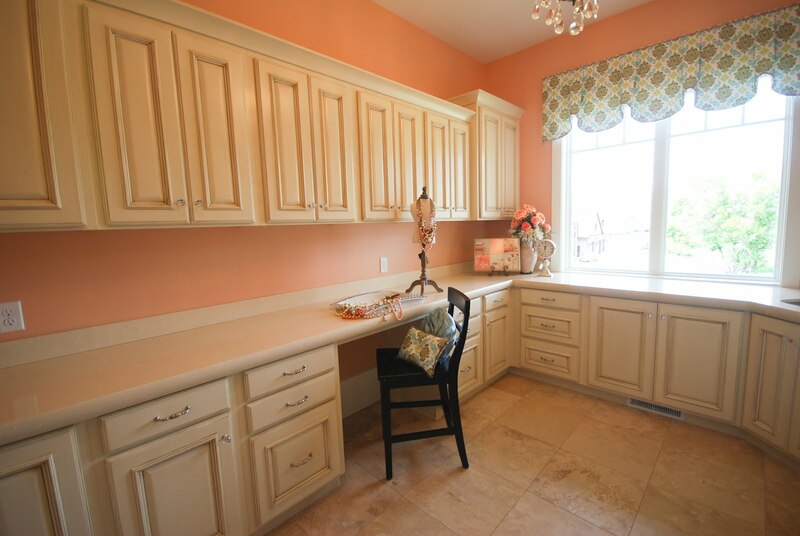 We'll start with the beautiful Laundry/ Craft Room. 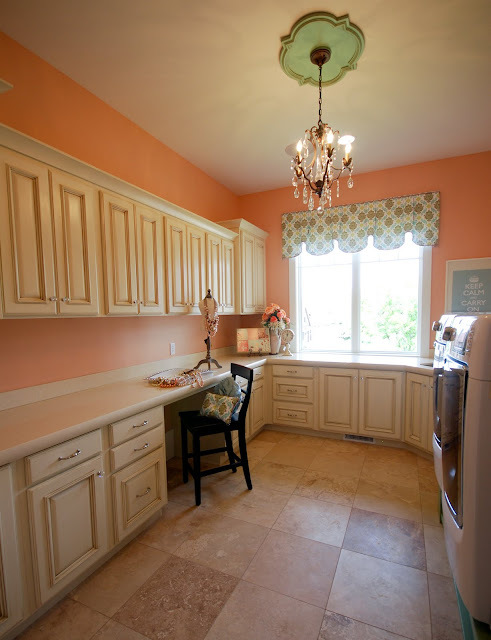 The homeowner has boys so she wanted one space in her home to be girly for her. She did such a great job, everything turned out so beautiful and I love the colors! The CaesarStone color is Buttermilk (#4220). It's a great warm, creamy color that has some white in it that brightens it up. The edge detail is a 2 1/2" Half Moon. 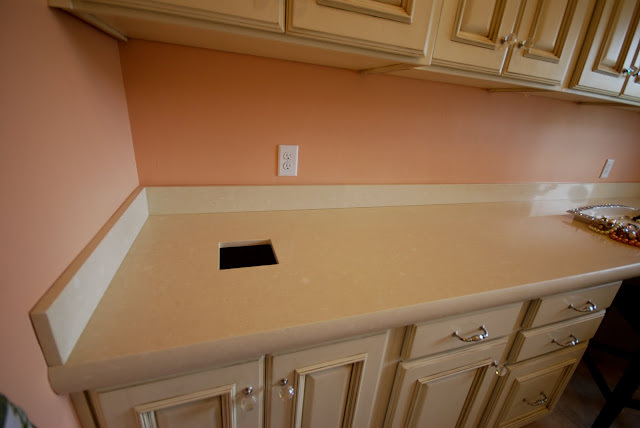 The homeowner is a crafter and so she had us cut out this hole in the countertop, there is a garbage can underneath. How handy is that? I love how the stand for the washer and dryer is painted that fun turquoise color. 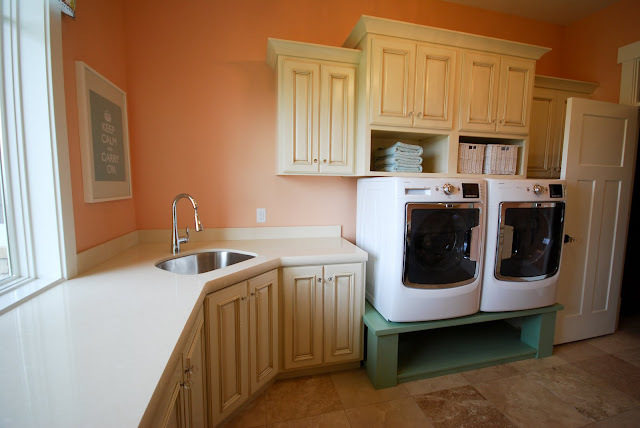 I think we all dream of a Craft/ Laundry Room like this right? 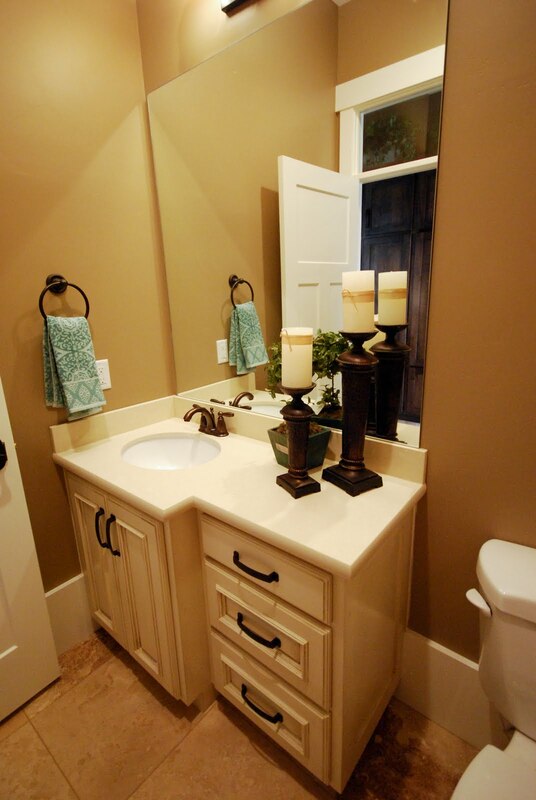 Next is the Mud Room Half Bath. 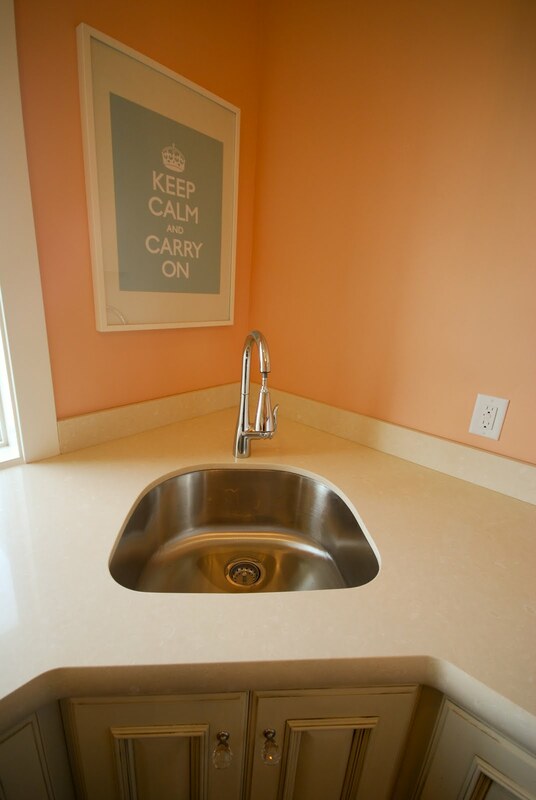 This bath is just off of the Laundry/ Craft Room so they wanted to use the same countertop material, Buttermilk CaesarStone. Since it's a smaller space we did a 1 1/2" Half Moon edge instead of the 2 1/2" used in the Laundry, it's the same shape though so they coordinate well. 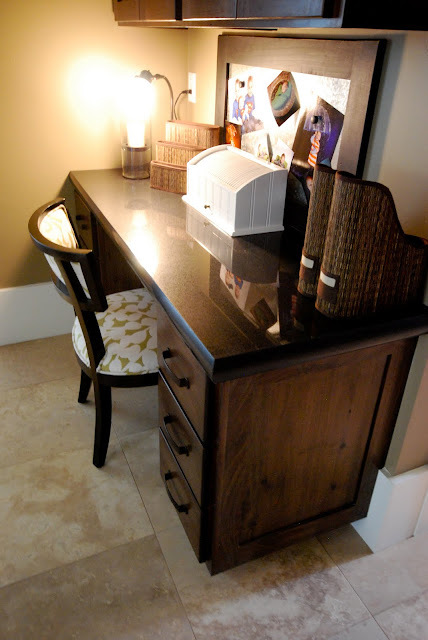 This is the Desk in the Mud Room. It is just off of the Kitchen so the material is the same as the Kitchen Perimeter. It's the Absolute Noir CaesarStone. The edge detail is a 2 1/2" Half Moon. There's still more of this house to come! Tomorrow we'll show the Master and the Downstairs Kitchen and Bath. I agree, I think every woman would DIE for that laundry room!! !